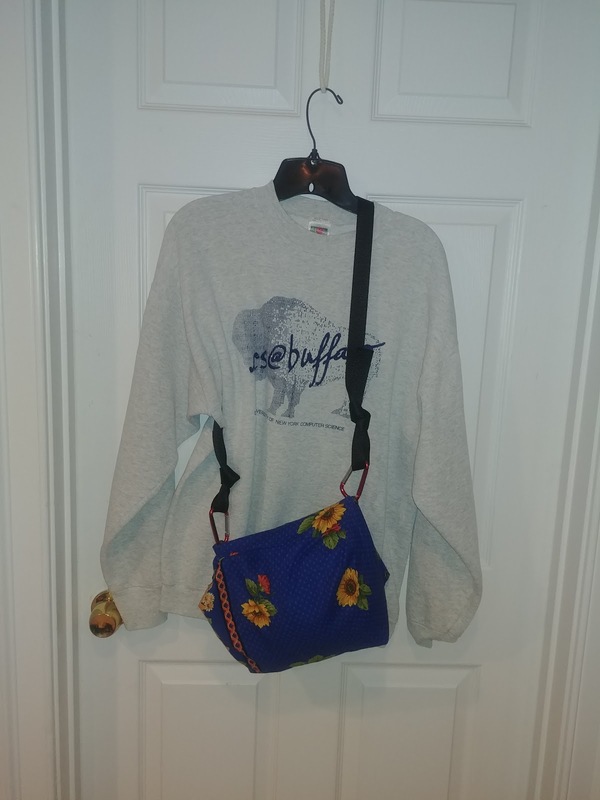 After I finished sewing my first solo creation, I was left with a question: how do a I add a shoulder strap to the (very simple) haversack I just made? I ended up adding grommets to the corners and using cheap carabiners to attach the strap to these endpoints. 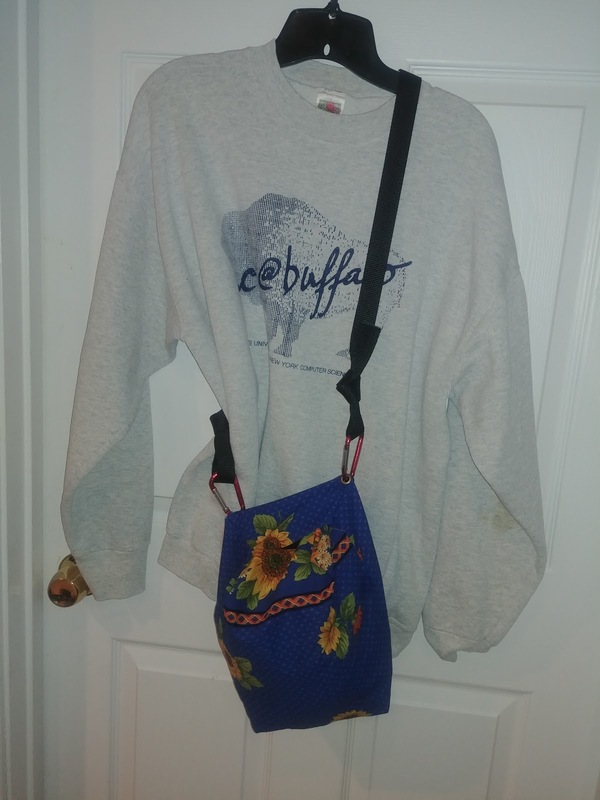 While the bag was comically funny looking, it was functional. This got me wondering: what if I created a larger bag and sprinkled grommets at the corners liberally? 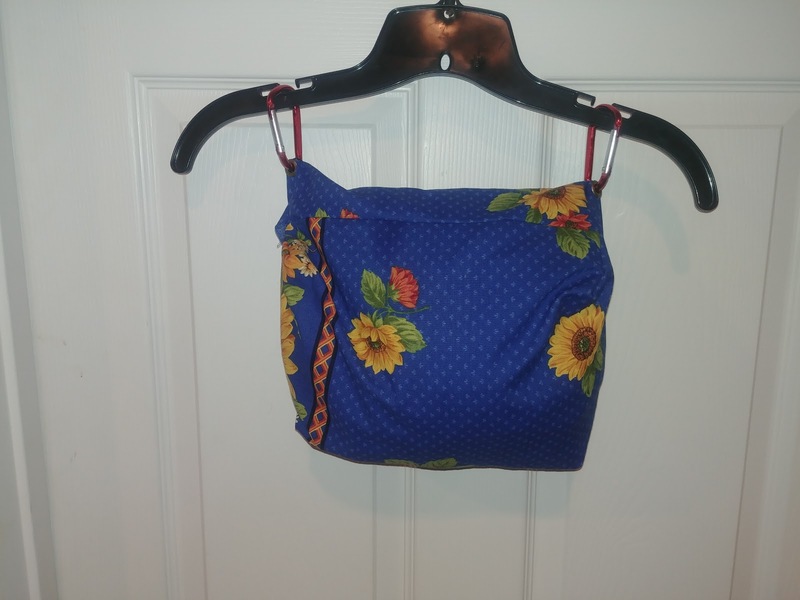 I'd then be able to re-rig the bag to carry it vertically, horizontally, or dispense with the strap altogether and just attach the bag to a bike rack or other carrier. In my mind's eye this seemed like the ultimate in flexibility. But I need not settle for imaging this. 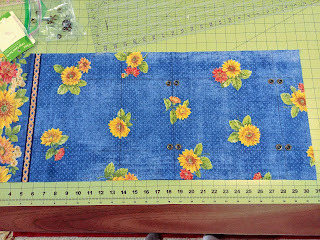 I had plenty of von Trapp fabric left, as well as a package of grommets. 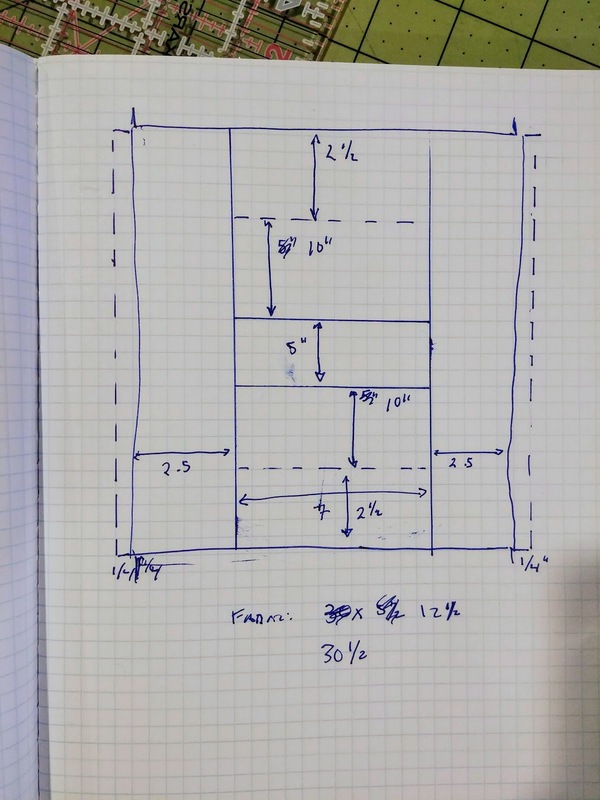 Why not create a prototype of what I had in mind and evaluate the idea in a more concrete way? 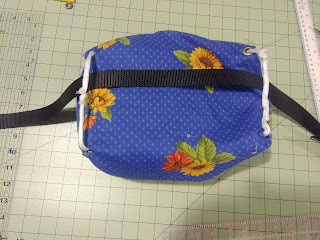 I essentially followed the same pattern described in the Ripstop by the Roll's belt bag tutorial, except I opted to make the bag much larger. Because this was a prototype, I skipped installing a zipper altogether. 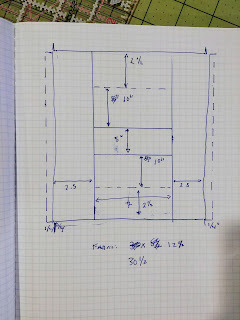 For dimensions, I went with a 7" wide, 5" deep and 10" tall bag. 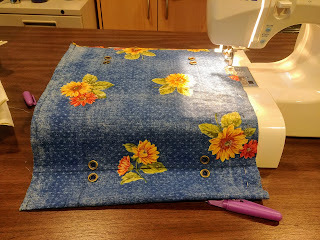 I carefully cut the fabric to 30" and moments later realized I was supposed to cut it to 30&half;" to provide a seam allowance. D'oh! What's that saying about how often to measure, and how often to cut? The bag came out larger than needed. Having a prototype really makes that obvious. Even though the bag is 5" wide, it's crammed to access. I believe the fix for this would be to put the zipper on the long side of the bag. In a traditional bag, this changing from a top to side access zipper. But the whole point of this bag is that it can be carried either horizontally or vertically, so this doesn't really matter. I carefully placed and installed the grommets. And then most of them fell out while fiddling with the finished product. I'm not sure if it's my installation skills, the wrong choice of fabric or the wrong type of grommet for the task. 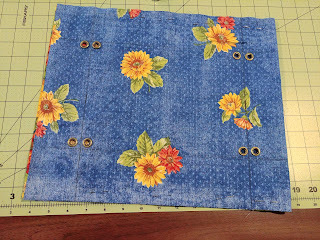 But I know that before I try again, I'll be picking up a variety of grommets and doing test installations on different fabrics. Even with all these lessons learned, the project was still a success. 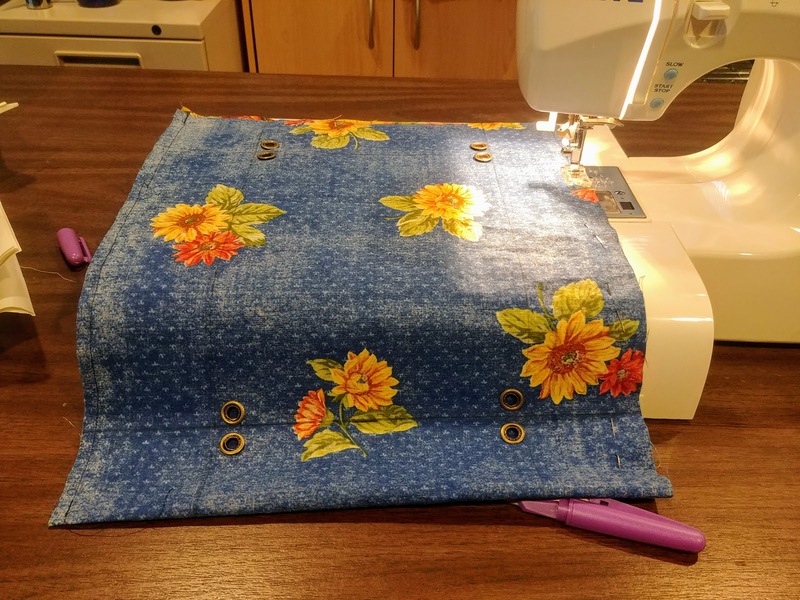 I had a chance to work on the fundamentals of measuring and using the sewing machine, and managed to make a creation in my head come to life. As for the grommet based attachment approach, the jury is still out on that. 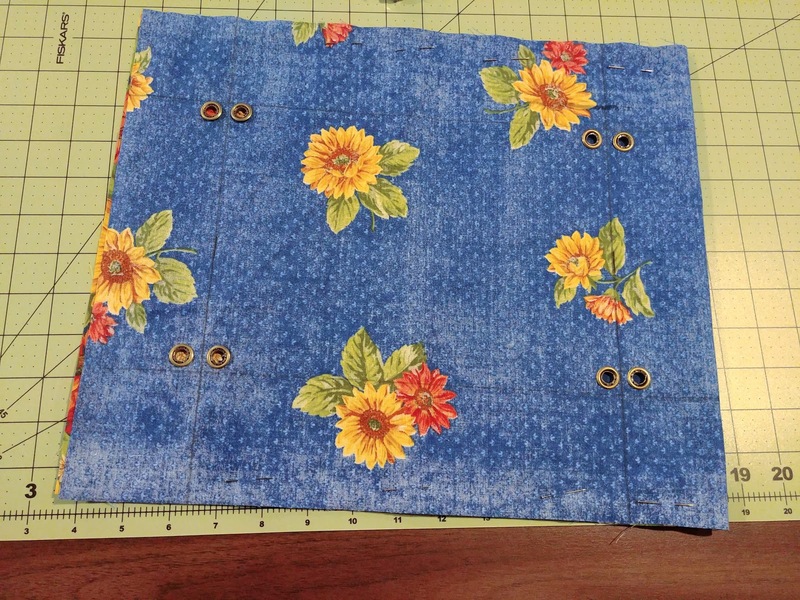 I'll have more hope for this design once I show that the grommets can be truly durable. For now, REI need not worry that I'm going to put them out of business. But man, this sure is empowering and fun!